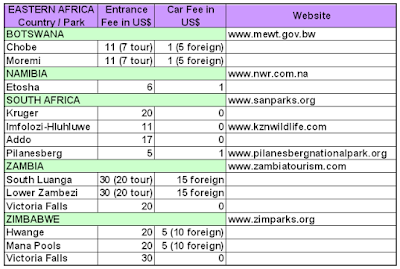 Choosing well game parks and activities will limit or increase your budget in Africa. This can be a very big amount of money, but the good thing is that prices vary a lot from country to country and there are affordable countries, yes! There are wonderful and big parks in many countries! 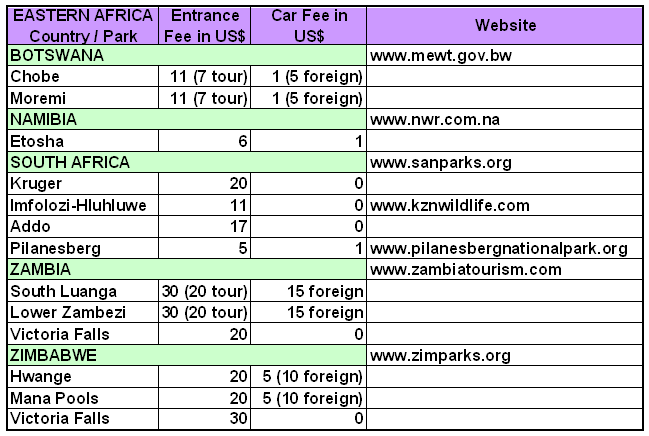 For game parks, the entrance fees are really much cheaper in Southern Africa (Botswana, Namibia, South Africa, even in Zimbabwe and Zambia). Prices for entrance fees there are around 10-30 $/pp/day. 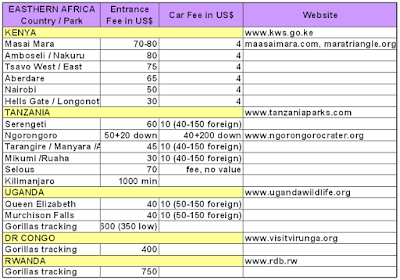 While the famous parks in Eastern Africa cost around 50-80$/pp/day (the cheapest is 30$), plus car fees! 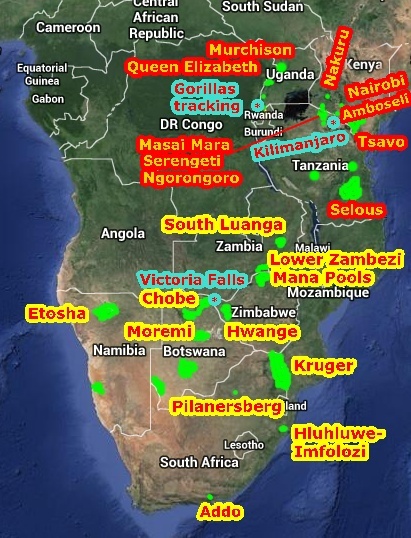 Do I need an organised tour in Africa? 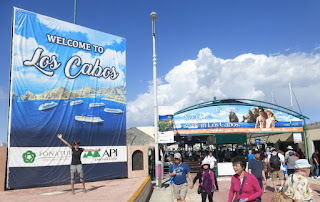 No, you can move around on your own, you can rent a car and there are public transports and lodges. 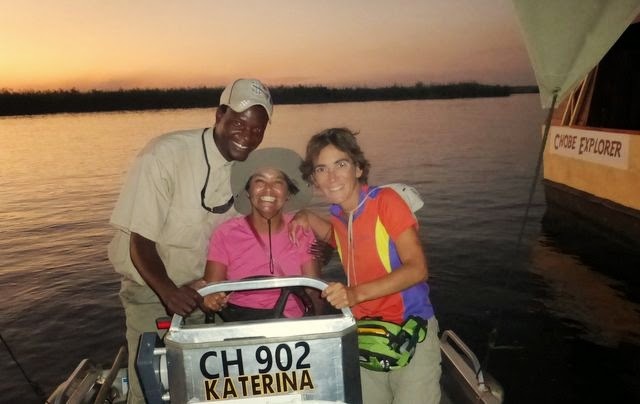 Keep in mind that even “backpackers tours”, basic overlanders tours in Africa will cost 100-150 €/pp/day! And this isn´t exactly low-cost, is it? 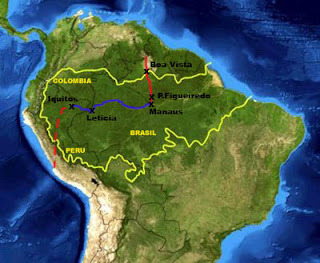 You will have to adapt to what a country as to offer. This will keep your budget low! That´s how we managed to spend only 40 €/day/2 people during the Southern Africa roadtrip and self-drive safaries; and 20 €/day/2 people during the Southern-Eastern Africa backpacking trip (but without any activity or parks there). 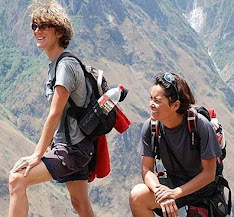 To do activities, you can ask directly in local bussiness. 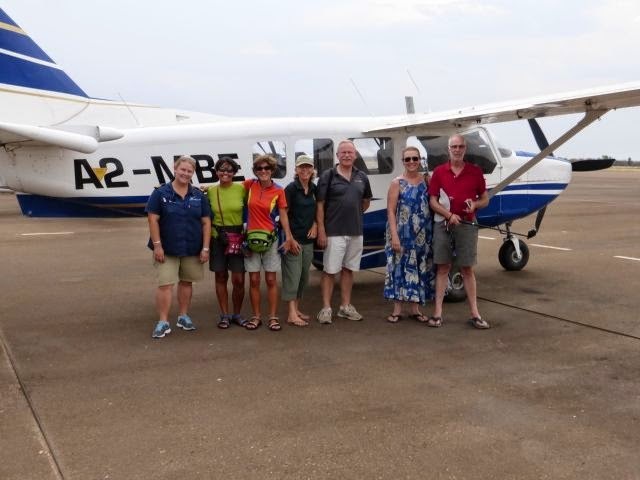 Not real need to book in advance in Africa! Big local offer, not so crowded. 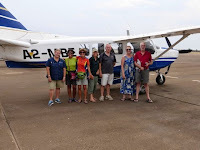 For example, in Botswana we did a fly over the Okavango delta and a safari boat, paying less than the tourist normal prices. Car fees: also 24 hours.